Join our new Thursday night series classes. They are a blast! 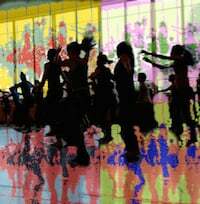 DANCE WORKSHOPS are a wonderful way of deepening your personal exploration of movement as part of healthy, creative lifestyle. 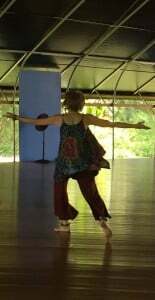 I’m pleased to work with some very talented co-presenters whose practices offer dynamic and exciting alliances with the essence of Wassa Dance. Please note that each workshop has its own registration arrangements. Preregistration is highly recommended. We are so pleased to be offering this very special event again this year. Everyone is welcome. Every donation big and small-small is amplified in goodness by the power community in generous action. Please join us as we aim to raise $4000 to fully fund a Posho Mill for the Nakwanga Women’s Group in rural Kenya. WASSA DANCE and VILLAGE VOLUNTEERS 15TH ANNUAL THANKS-GIVING Dance by Donation. On Thanksgiving morning, dance and contribute to a woman’s opportunity for economic freedom and independence. Join us as we dance with some of the best percussionists in Seattle to support the Nakwangwa Women Group Posho (corn) Milling Project. The milling project will provide women in rural Kenya with an income and a business that will grow to support their families. With the funds raised, we will purchase a small locally fabricated electric milling machine from Kitale. They hope to also buy a generator in case of power outages. In addition to grinding maize, the group will start a small buying and selling center where they sell grains and flour. 5100 South Dawson St, Suite 202, Seattle, WA 98118. Contact Lara for event questions. WASSA DANCE POSHO MILL REPORT- 2018. Emelda Naliaka has 7 children. She used to earn small amounts of money gathering firewood and charcoal, and selling it to other people in her village in West Pokot. Every day was a struggle to make enough money so that her children could eat. Her children were not in school because she couldn’t afford the uniforms required, so they sat at home, hungry. All in all, Posho mills are crucial to the lives of most Kenyans. In the evenings mostly, you will see a long queue of tins or ganny bags full of maize grain or other cereals waiting to be ground. It is mostly women and children who take the grain to the Posho mills for grinding, but sometimes, also men, especially the single ones working in large scale farms, are seen in the queues. At CGA, we see success every year. By the time women think of new project ideas, their household incomes have more than doubled. They have a savings program and their children are receiving an education and medical care. They can rely on themselves to care for their families, bringing dignity to their everyday lives. Woman by woman, we are building stories of long-lasting success. What does that look like by the numbers? This Christmas season we will be celebrating how CGA is changing lives of women one by one. Our women are not treated as passive beneficiaries of aid, but as active agents in building their own resilience. We focus on dignity and self-reliance with funding from Wassa Dance that is delivered by women themselves. But we need to do more and for us to do this, we need a bigger footprint. We’ve therefore set an audacious goal of reaching 60 more women and 155 girls next year. Join us for a very special week of inspiration, ease and joyful vitality. Come as you are, let the rhythms dance you deeper. Delicious daily buffet style meals, accommodations and use of Kalaniʼs grounds, pool and spa are included. 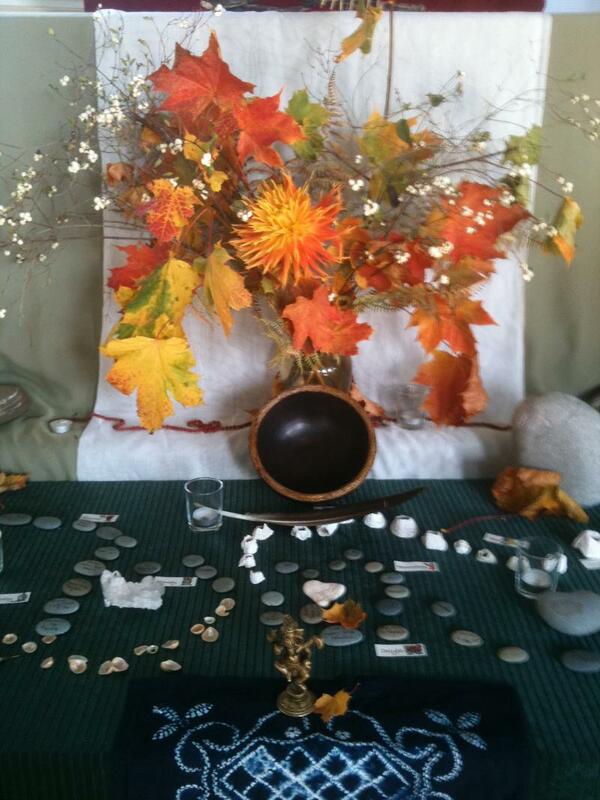 * Spontaneous offerings for group or individual sessions TBA. – cultivating fresh vibrancy in our physical wit and wisdom. – immersing ourselves in afro-infused dance inspired by some of the best music the world has to offer. 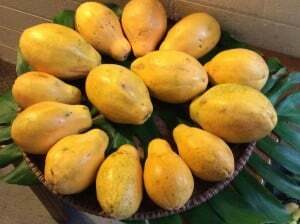 – engaging our senses in the complex natural and cultural beauty that the Big Island offers. Ocean meets lava, mongoose, wild pigs, tree frogs, bird song, hula, solar power, compost, and not so far away strip malls all co-existing while Pele makes the newest earth in the world. Only a few spots remain. Wassa Cancellation Policy: Until November 10, 2017, deposits are refundable minus a $50 administrative fee. After November 10, 2017, there are no refunds on deposits unless I can replace your reservation, $50 administration fee applies. 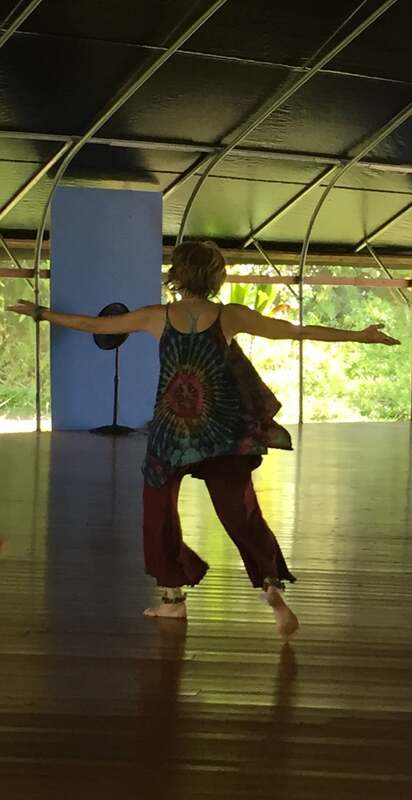 For island residents or vacationers wishing to attend the daily dance intensive without Kalani lodging or meals, drop-in rates per class and weekly options are available as space allows. Pre-registration is strongly suggested for this option–which also includes a Kalani day pass with each class/series purchased. Lodging and meal options at Kalani may be purchased separately through Kalani. 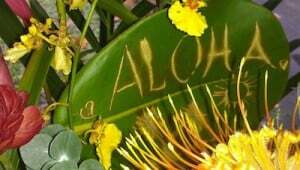 Kalani Honua Retreat Center: Kalani means Harmony of Heaven and Earth and is located on 19 coastal acres of tropical beauty on the SE coast of Hawaii. Dramatic lava cliffs provide a haven for sunbathers, stargazers, whale watchers and those seeking a deep connection with the earth and sea. Other offerings at Kalani at additional cost include: Hawaiian and Thai massage, Yoga, Bodywork, Watsu (water-based bodywork) and Hawaiiana/Hula Classes. 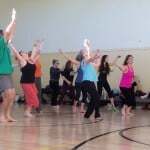 Wassa’s Savory Autumn Intensive at Madrona MindBody 2017! 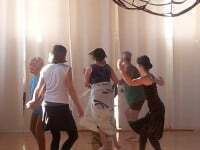 Join us for a delicious weekend of extended dance sessions and inspiration at one of the Puget Sound’s most beautiful resources for movement studios, the Madrona MindBody Institute. Inspired by the elemental roots of Africa and beyond, we’ll immerse in Wassa’s unique style of spirited dancing combined with seasonally rich movement meditations and stretching to begin and end each session. The Wassa Dance fee for the full weekend – $225. Saturday sessions: 9:00 a.m.-Noon & 3:00-6:00 p.m.
Sunday sessions: 9 a.m.-Noon & 1:30-3:30 p.m.
Can’t come for the entire weekend? Come for a class or day! Saturday morning or afternoon session or Sunday afternoon session. $35/session for residents of the Port Townsend area. Please contact Lara for registration and questions. Residency participants arrange their own transportation, lodging and meals. Join us this winter for a new season of inspiration, ease and joyful vitality. SPACE IS LIMITED! EARLY REGISTRATION IS SUGGESTED. *Prices subject to change without notice for unregistered participants. Wassa Cancellation Policy: Until November 15, 2016, deposits are refundable minus a $50 administrative fee. After November 15, 2016, there are no refunds on deposits unless I can replace your reservation, $50 administration fee applies. To book airport shuttles, please call Kalani’s Guest Services at 800-800-6886 at least a week prior to travel. Join us for the end of an era. $15 at the door or use your dance card. 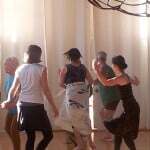 This fun and lively hour is a great way to shake off the day and go deeper into the choreography and technique of Wassa Dance. Wassa and Village Volunteers’ 12th Annual Thanks-Giving Dance by Donation! We had a beautiful event with more than 60 generous dancers and great music by Thierno Diop, Denny Stern, Larry Swanson, Shemayim Elohim and Lance Lu. AND we raised $3,500 that morning toward our goal to fully fund this project. It’s going to happen! It’s not too late for you to donate. click for the pretty version WASSA Flyer – Thanksgiving 2015. We are so excited for this beloved annual event!!! 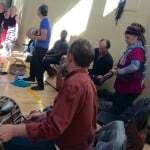 Featuring some of Seattle’s finest percussionists & Lara of WASSA DANCE who will lead us in joyful African inspired movement! This year we will dance to set up a goat dairy project with the Lenana Girls School in Kiminini, Kenya to produce goat dairy products and train students and future farmers in achieving livelihoods in sustainable agriculture. Our goal is to fund 8 goats (6 female and 2 male) and a shelter. The first offspring goats will be given to women farmers who will in turn do the same as this project develops and continues. We invite you to also keep it local by contributing a portion of your donation to Village Volunteers, who keeps all of these programs going throughout the year. You can designate the amount to each on the memo line of your check or a note with cash donations. 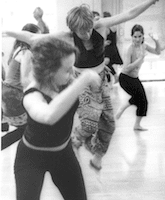 Contact Lara for event questions, classes & workshops at lara@wassadance.com www.wassadance.com. Our lodging option is full. There is still room for you on the dance floor on Saturday and/or Sunday. We’d love to have you join us. Please contact lara@wassadance.com for more details. Here’s the first of the sweet bits from Wassa Dance and Village Volunteers‘ 11th Annual Dance by Donation Fundraiser. We had a most wonderful time with 70+ dancers raising $3,600 in an hour’s class for this year’s micro lending partner SISI FUND in Kenya. I hope you can join us for a special session of restorative movement on Thursday December 4. 6:15-7:15 p.m. at Balance Studio. This will be our last Thursday evening session of 2014 and it seems a very good time to slow down and nourish our bodies as we head into this busy winter season. Use your dance card, monthly subscription and $15 drop in. We had a blast tonight putting together two pieces of movement that have been cultivated separately over the past 3 months or so! The movement keeps being informed by different pieces of music. Tonight we danced with MC Solaar’s HIJO de AFRICA and Lala Njava’s VOATSE. Next session in Dec. 4 and that will be a restorative movement session to close the season. We’ll pick up the series again in January. I can’t wait!